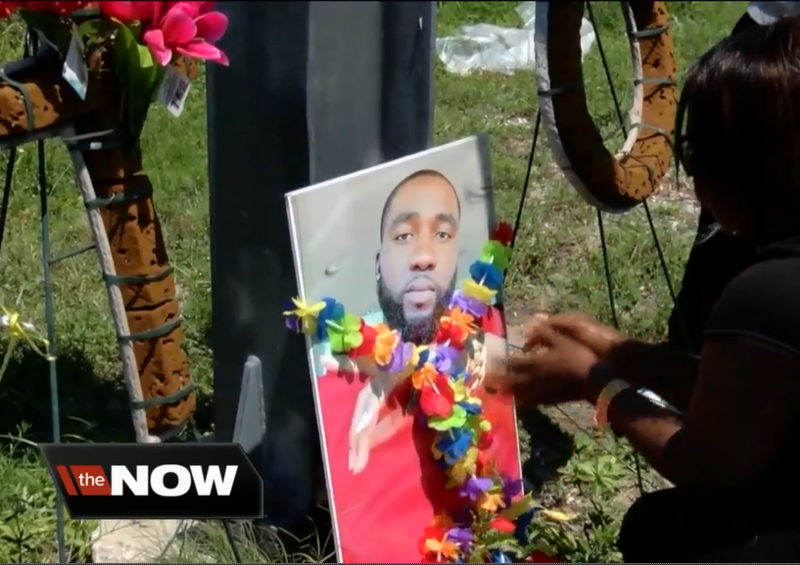 UPDATE: The Palm Beach County State Attorney's Office has determined that Mario Rene Briceno Escobar was justified when he used deadly force against Duvarn Fraser under Florida Stand Your Ground Law, according to a Florida Highway Patrol Offense Report. The report said the case has been cleared because the state will not prosecute. Wednesday marked one year since a 26-year-old man was stabbed to death in a road rage incident on Interstate 95. His family said they are still wanting answers on whether the men who killed their son will be charged. On the afternoon of June 20, 2017 , Duvarn Fraser was driving southbound on I-95 near Blue Heron Boulevard when state troopers said his vehicle and another vehicle sideswiped each other. It lead to a confrontation and ended with Fraser dying from multiple stab wounds. On the anniversary of his death, his family returned to the area where Fraser lost his life to pay their respects and honor his memory. Fraser's mother -- Jacqueline McNealy, alongside his brothers and sisters -- drove to the site near a road sign. Remnants of a cross and a wreath from their previous memorial laid at the site, as the family brought in new balloons, flowers and pictures. "I miss you so much," McNealy said through tears, touching and kissing the photos before laying them on the site. His siblings -- sisters Taylor Fraser and Camille Bedward and brother Leron Bedward -- embraced McNealy as she cried through prayers. “he was always always a cheerful son," she said. His sister said her brother was the sweetest person she knew and was well known as a friend throughout Palm Beach County. “It hurts me to have to pass by here, knowing this is where his short life was taken," said Camille. Leron helped McNealy carefully arrange the flowers and balloons around the road sign, carefully holding up the pictures with glass candles. He said he could feel Fraser's presence with them Wednesday. One year has passed and no arrests have been made in the case. "His six year old daughter who is now 7, she misses him terribly," said McNealy. "She still has nightmares." Two brothers who were involved in the stabbing -- 45-year-old Mario Briceno and 50-year-old Jose Briceno -- were questioned by Florida Highway Patrol afterward and released. FHP has taken charge of the investigation but little information has been released in the past year. Last year, FHP had said Fraser showed a gun during the incident but didn't elaborate on it. Fraser's family had said Fraser had a permit to carry a gun for protection. “We don’t have any type of closure at all," said McNealy. And that's why the family is continuing to press FHP for answers. The last update they received was just a couple of months ago, stating that the investing was simply ongoing. At least for now, McNealy and her kids said a prayer over his memorial. The family said their search for justice will never stop. “We all deserve closure and we need closure," said Camille. “We know who killed my son. What is taking so long to let me know why he was killed? And whether or not justice will be brought forward?" said McNealy. WPTV obtained a response from FHP late Wednesday regarding the status of the case. A spokesperson said the investigation is close to being complete. However, investigators are waiting on some additional forensic analysis requested from the Palm Beach County Sheriff’s Office Computer Crime-Digital Unit.